Nowadays everybody is walking around in their own world with headphones in their ears. Some of us enjoy bulky over-the-ear studio style and some enjoy teeny tiny barely visible in-ear headphones. For the latter, I took a chance on a surprisingly cheap set of Bluetooth headphones and have a wonderful review in store. 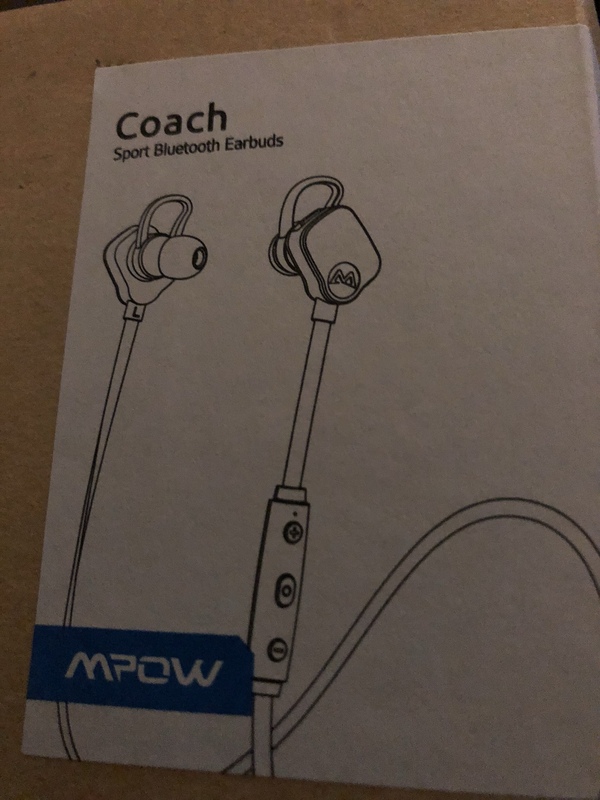 The MPow Coach which retails for 22.99 USD is a lightweight, comfortable headphone. They feature 6-8 hours of battery life with normal use. While not incredibly bassy, they are good for music and very clear for conversations. The MPow Coach headphone has wonderful Bluetooth connectivity with a range of over 20 feet and works well on airplanes. Conversations are clear and the music sounds nice. These headphones do not complete with $100+ product but they blow competitively priced headphone out of the water. The build quality is nice and solid, particularly compared to many other comparable products in this price range. After about 2 months of daily use, the charging port has not broken. I would definitely recommend these headphones for casual listening and conversation use. They may work well for exercising but they are a bit heavier and may come out of your ear with during heavy movements.